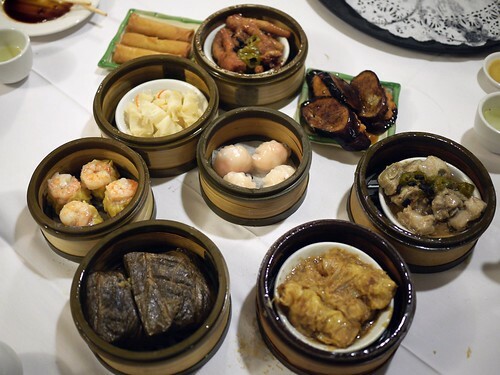 Christmas Day, our family eschewed staying at home like we usually do and drove into New York City for dim sum in Chinatown (now that’s a Christmas brunch I can get with). Our usual choice, Jing Fong, wasn’t available since there were large parties going in at noon, so we ended up at nearby Oriental Garden, where the staff seated us in a different, quieter part of the restaurant. 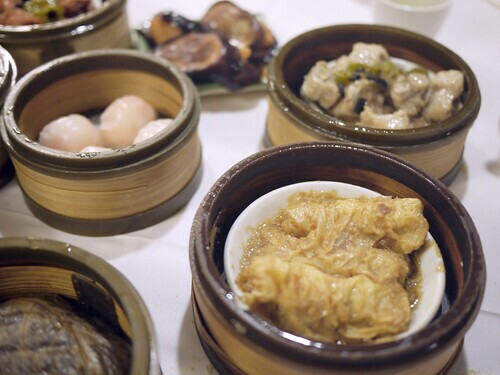 This was probably one of the most relaxed dim sum experiences I’ve ever had. 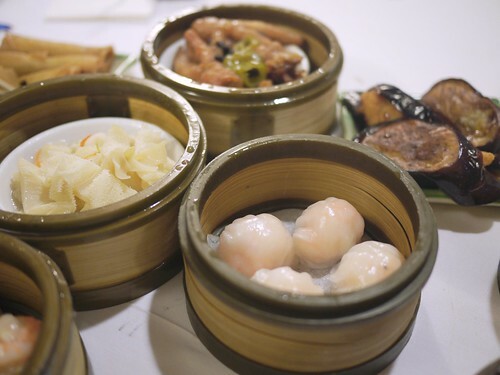 Usually, customers wait eagle-eyed for carts of their favorite foods and dim sum ladies yell whatever they have in loud Cantonese, but in this section of the restaurant, waiters just circled around quietly from table to table and even let us order directly off the dim sum menu in batches. 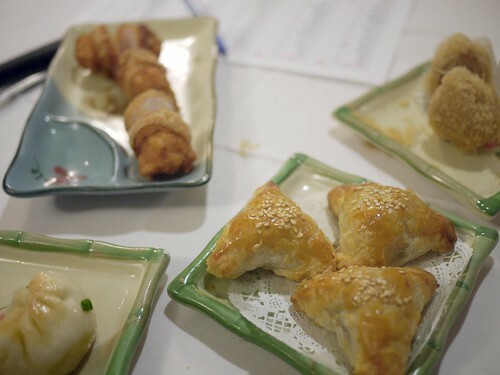 As typical with dim sum, most of the food we got almost instantly, including shrimp “noodles,” Shanghai buns, taro shrimp puffs, baked pork wedges, and bacon-wrapped shrimp balls (something I’ve never seen in a Chinese restaurant). 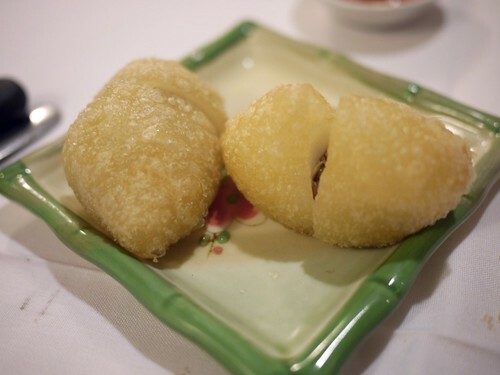 Overall, the dishes were quite good, with the super crispy and light taro shrimp puffs being my favorite. The next go-around, we ordered Hong Kong-style dumplings, which were fried and a bit chewy for my taste, and a whole slew of the classics, like chicken feet, beef tripe, shrimp-stuffed eggplant, shrimp dumplings, shu mai, black bean steamed spare ribs, bean curd with pork, and lotus leaf sticky rice. Stand-outs were the flavorful yet delicate shu mai, the savory spare ribs, and the shrimp-stuffed eggplant, for which I always have a weakness. 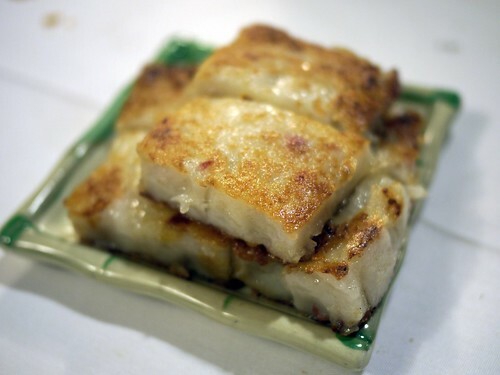 And one of our final items and my favorite, was the humble (fried) turnip cake, which I always smother with hot chili sauce and wolf down like a baby dinosaur. 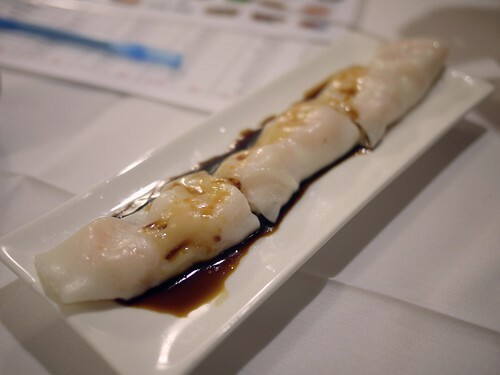 So even though we weren’t able to eat at Jing Fong, I’d say we discovered another solid place for dim sum in Chinatown, with better service than most Chinese restaurants. After looking it up online, I’m also curious to try their supremely fresh seafood during dinner hours. 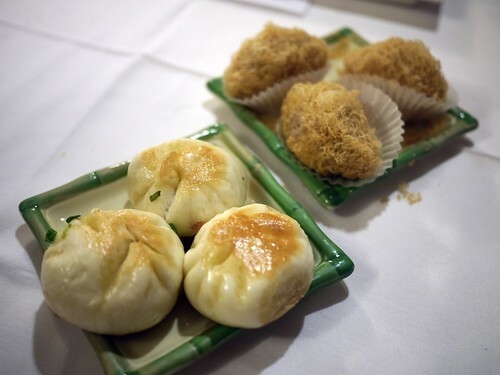 You are currently reading Dim sum at Oriental Garden at Notes on Food.